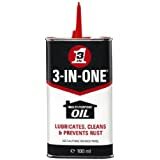 Amazon's Choice for "3 in 1 oil"
Before buying any oil, make sure you read our essential information on the disposal of waste engine oil. Original formulation drip oil from 3-In-One. 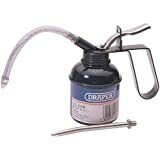 Comes in a convenient container with easy-to-use drip spout for precise application. Made from a unique set of ingredients for use on metal surfaces. Lubricates, cleans, stops squeaks, and protects surfaces from rust and corrosion. 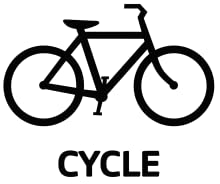 Ideal for motor, cycle, sports, leisure, office, home, garden and workshop applications, including inline skates, tools, wheels, fans and moving parts. 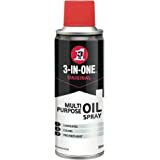 Three in one has a directional spout, which means users can precisely direct the oil onto the target area, avoiding wastage and messy residue. 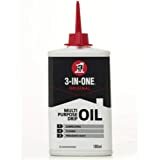 3 in One is perfect for all your Automotive jobs and challenges, whether it be under the bonnet or lubricating you hinges, 3 in One is perfect! 3 in One's easy use makes it perfect to clean and lubricate the moving parts of your cycle, 3 in One can also help to Prevent non moving parts from rusting! 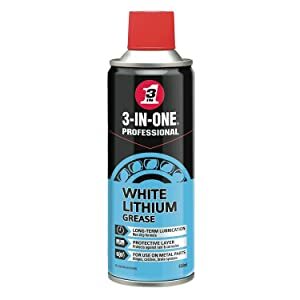 As 3 in One Prevents rust from building up, it is perfect to use in the Garden and on Garden Tools! 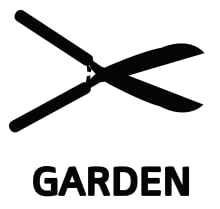 It can also help to clean and Lubricate garden tools! 3 in One's Precise Application allows for accurate use with no over spray, splatter or waste, perfect for jobs around the house! 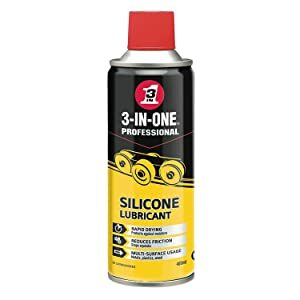 3-IN-ONE professional Silicone Spray lubricant provides high-performance lubrication and corrosion protection, in a quick-drying no-mess formula. Its advanced silicone synthetic formula is safe for use on metal, rubber, wood, and vinyl. It also protects electrical parts and is perfect for wet environments and marine use. A high-temperature lubricant and anti-seize compound that protects metal components from corrosion, rust, water, heat and acid. Capable of withstanding extreme temperatures, this grease is also enhanced with graphite for even better lubrication across the entire temperature range. 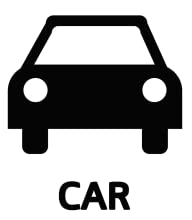 Once applied, a protective coating is formed which will not wash off or burn, therefore reducing metal-to-metal friction. 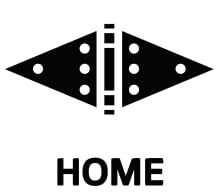 Also assists with the assembly and future dismantling of threaded fastenings. 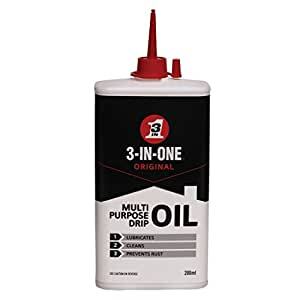 Decent size "can" of 3-in-1 oil at a reasonable price (200ml for £2.39 - I use quite a lot, so that is appreciated. 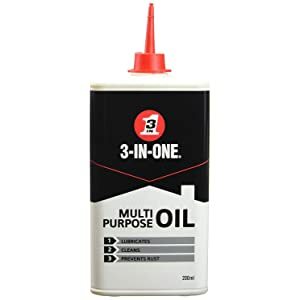 3-in-1 oil seems fairly thick to me and is the best option for *lightly* coating tools high carbon tool steel to prevent rust that I have come across (WD40 is too light). It comes with the reassurance that, although not high-tech, it worked ok for Dad and Grandpa (although their tools and bikes and were often caked in thick, dirty layers of the stuff - yuk [apply very *lightly* with a Paul Seller's "rag-in-a-can oiler" ,see youtube]). It can be used for honing, but I find it a bit too thick for that, it reduces the cutting action of oilstone. However that can be useful sometimes, if you have very coarse stones. 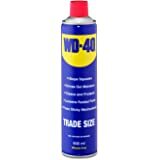 4.0 out of 5 starsOrdered large can got a small one. The title say Large can (200ml), the description says 100ml, that's what I got. I could have paid an extra 32p and got a 250ml can from a local shop(not happy). 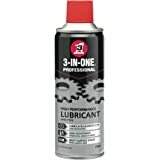 The oil it self is great , I have been using it for 30 years, since I got my first racing bike. 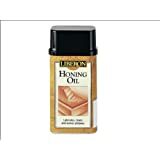 I have not used any other oil as I am so happy with this one. I will check the details more carefully next time. 4.0 out of 5 starsWorks as oil but the red "needle" is awful, oil doesn't seem to be very water resistant. 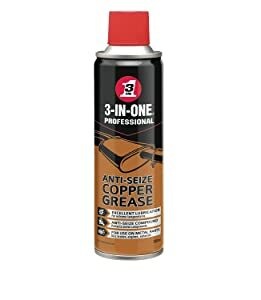 Works okay but I need to regularly re-apply oil to my bicycle chain, I would say even too often. After leaving oil to rest for a few weeks, red needle didin't let any oil out. Had to cut it with knife as even trying to puncture it with a needle didn't help. Also, get only 200ml as price difference between 100ml is non. 5.0 out of 5 starsVersatile and long lasting. Every household should have a can of this - hair clippers, squeaky hinges and a new one for me - paper shredders love this. This replaced the old can - and it was a metal can - that had lasted years. Same volume as before but now a plastic bottle and much cheaper than on the high street. Purchased to apply to squeeky bread machine, seems to have helped. 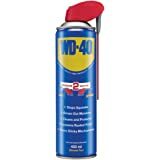 This oil (made by WD40) is ideal for jobs around the house though I personally prefer their spray lubricants for non-hygiene related items. It's great to get this in 200ml -- I can't argue with the price!